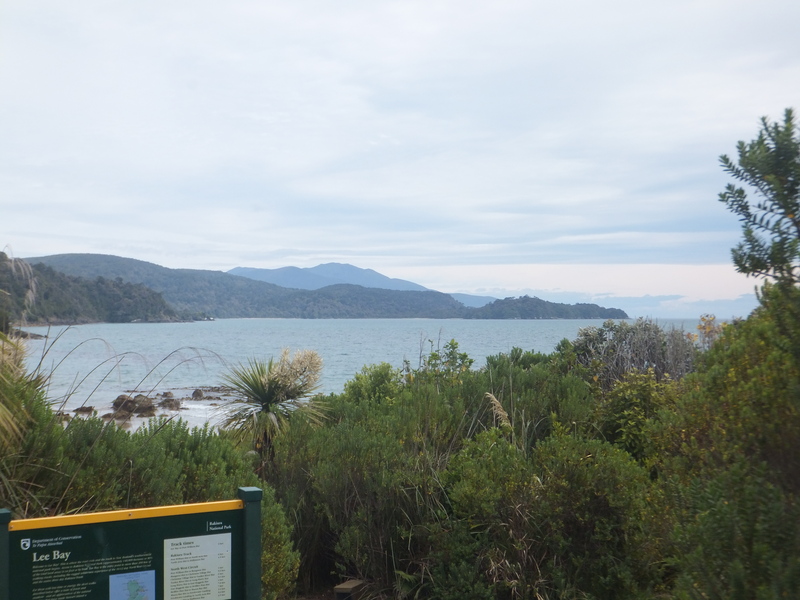 The ferry crossing to Stewart Island (Maori name Rakiura – Glowing Skies) takes about an hour from Bluff on a fast cat. 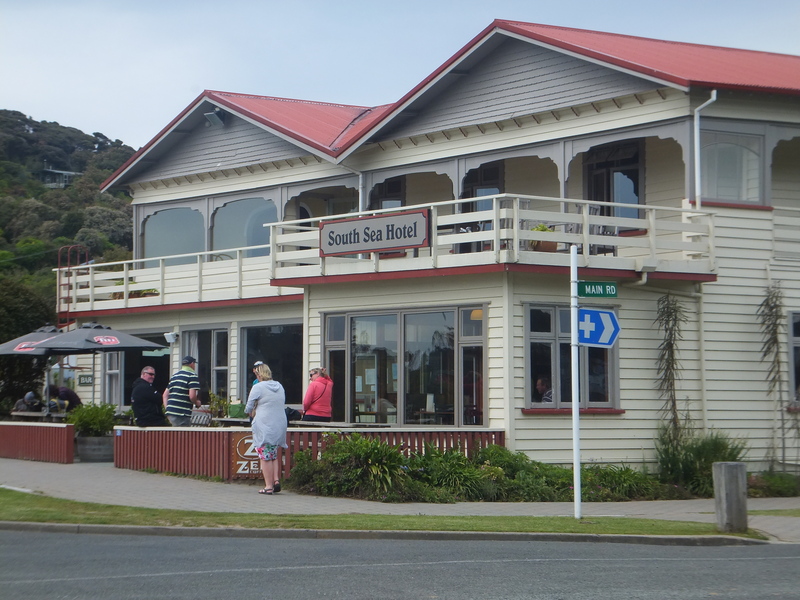 It is the southernmost large island in New Zealand. All things considered the sea was reasonably calm, though Katharine was glad to have taken a pill. During the journey we saw Bottle-nosed dolphins, Pale-fronted Terns, Sooty Shearwaters, some small Petrels, as yet unidentified, and a couple of Mollymawks – a type of Albatross. 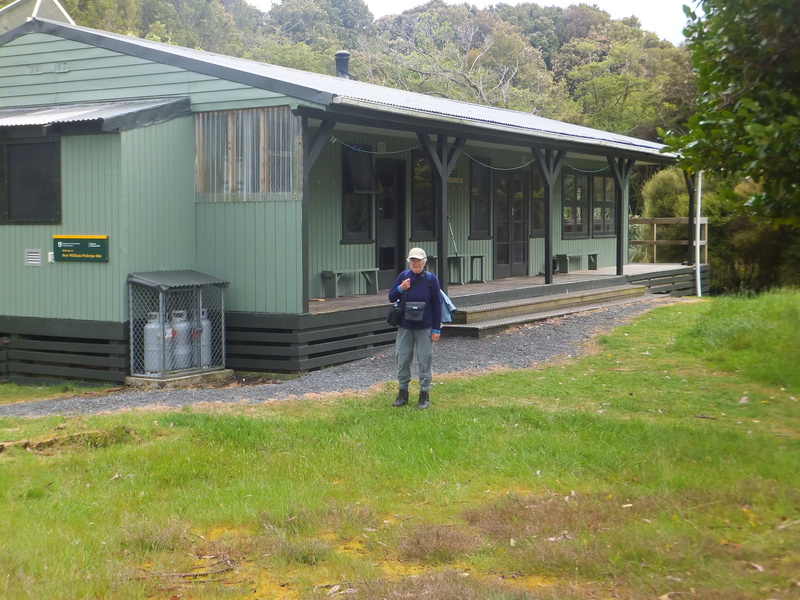 On our arrival we much appreciated being met by a shuttle bus, as the Stewart Island Lodge is up a steep hill. The view from our room over the sea was very grand but peaceful, but the quiet was soon shattered by the screeches of a busy flock of Kaka, slightly smaller and probably more mischievous cousins of the mountain Kea we saw in Fjordland. There were Greenfinches and Chaffinches busy on a feeder on the hotel balcony, and plenty of Tui, with their extraordinary calls – from melodious whistling to strange grunts. meal in the South Sea Hotel on the sea front, which for Richard included fabulous Bluff oysters (they stand up to their reputation). 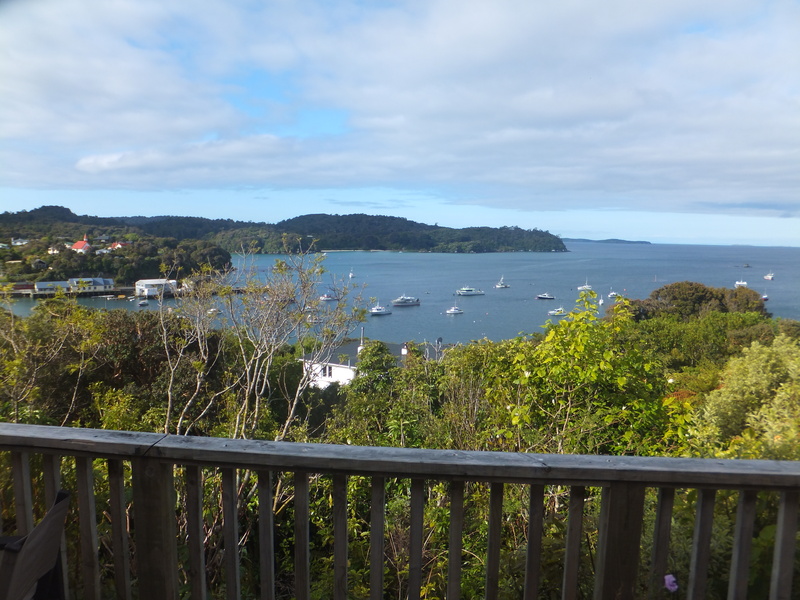 About 80% of Stewart Island is National Park, and the only inhabited part of any consequence is in and around Oban (pop c400). 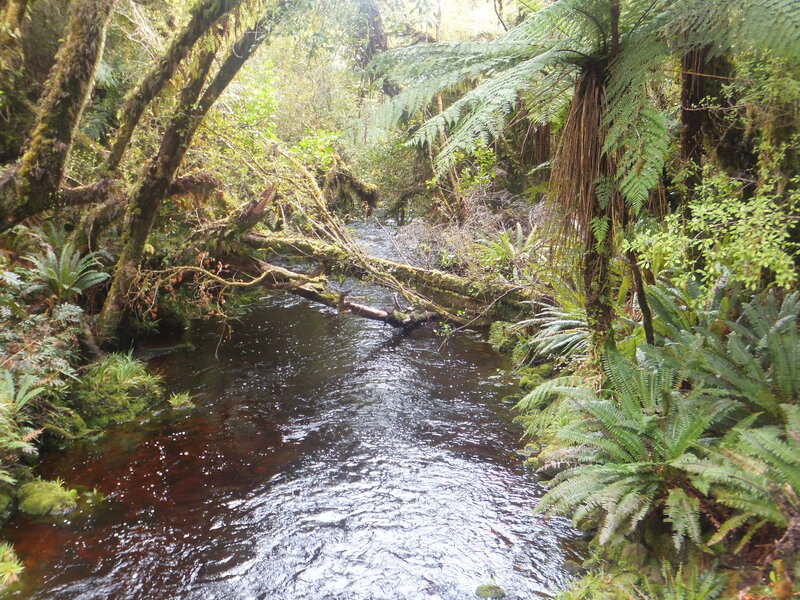 This makes it a terrific place for walking and trekking, or tramping as it’s known in NZ. 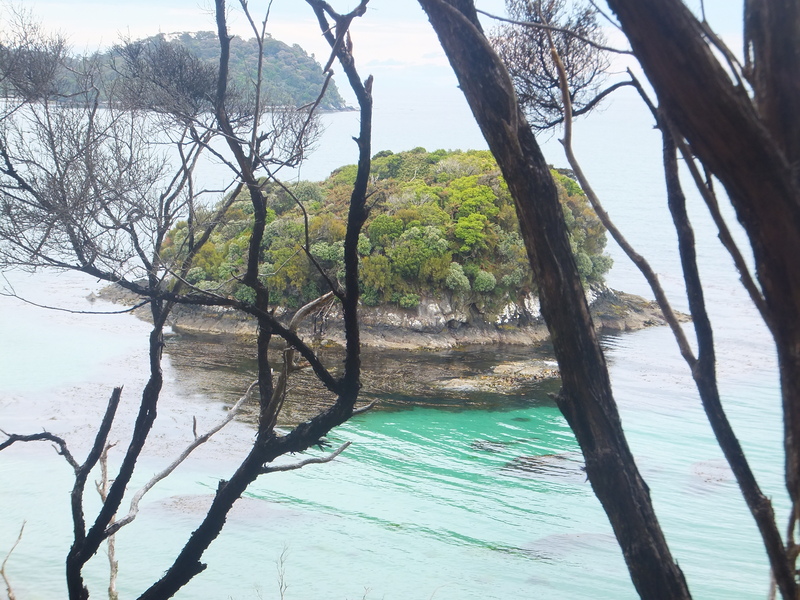 Our main reason for visiting the island was to do one of the NZ Great Walks, the Rakiura Track, one of the shortest, at about 39km, spread over three days. The first day’s walk took us along the road and then on gently undulating paths and across the sands of several beaches, as the tide was low. Then we were into the forest – no beeches here, but lots of other trees, many about to come into flower, as well as ferns and tree ferns. Everywhere there was the sound of birds, mainly Tui, Robins and Tomtits. 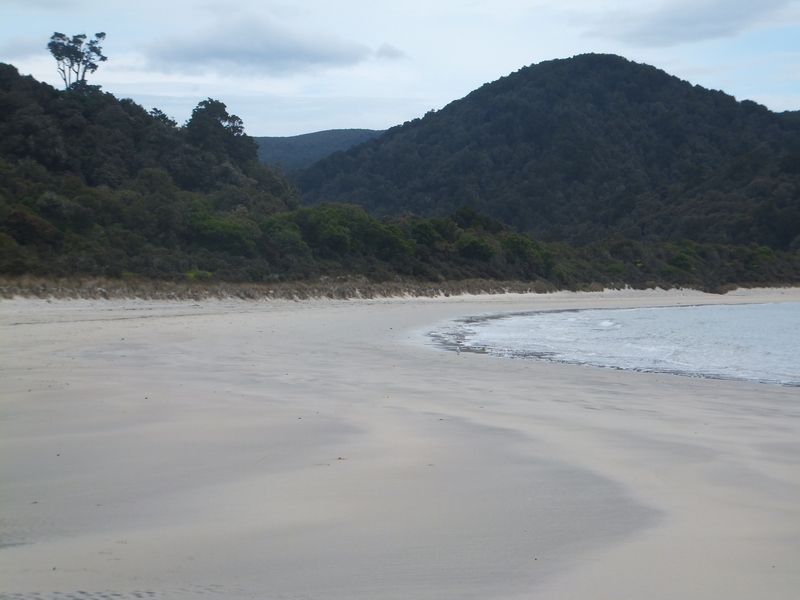 On the shore we saw Variable Oystercatchers, Stewart Island Shag and Pale-fronted Terns. 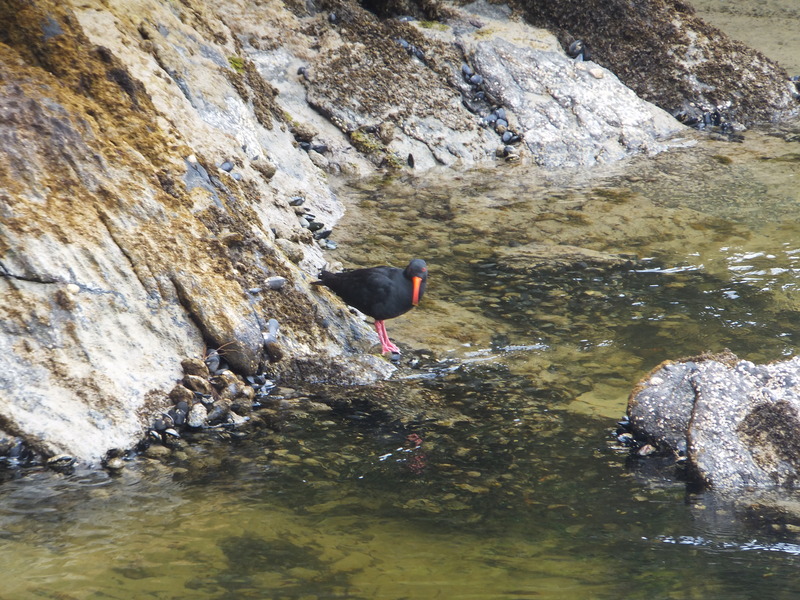 The sea was so clear you could watch the shags pursuing fish under the water. Port William hut is on the site of an old, unsuccessful settlement, in the woods but near the sea. We were very happy to reach it at around 3pm and to find ourselves the first arrivals, which meant we could get well-placed bunks. Later in the afternoon we were joined by two friendly young Germans. In the evening heavy rain set in, lasting till about 2am, and beating loudly on the metal roof. A third couple arrived dripping wet, so the stove was lit and their clothes hung up to dry. We went out in the rain to look/listen for Kiwi, which are said to visit the huts, but no luck. It got light around 5am on Day 2, and the birds started up at about the same time. This day’s walking was in the forest, where again we heard plenty of birds, especially Grey Warbler, though saw few. In places the path was very muddy after the night’s rain, especially where it was too steep or there were too many tangled tree roots for the path to be stepped or gravelled. Logging was important for early settlers, and we passed some old machinery, and walked down the site of the old tram track for moving logs down to the sea. The walk was much more up and down than the previous day, but still enjoyable, with a few stops for breathers. In north Arm Hut in the evening there were only four of us. 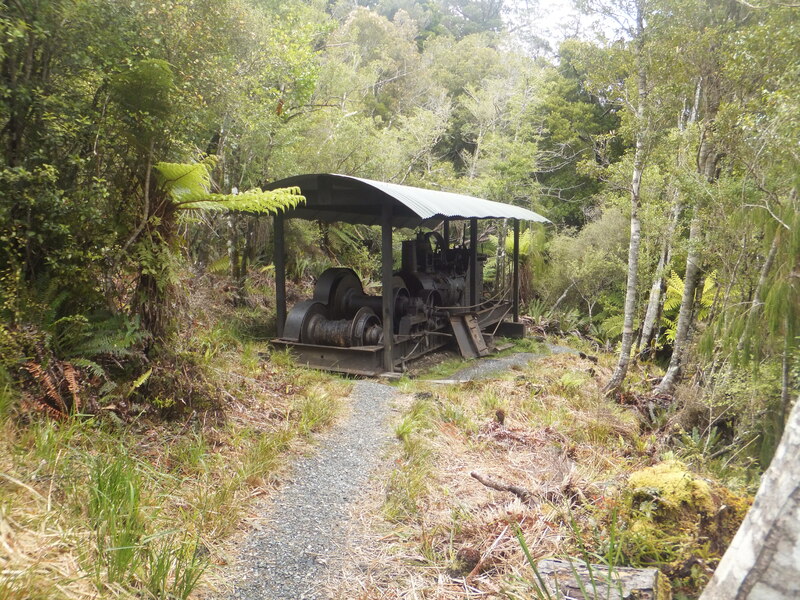 Once again we decided to go on a Kiwi hunt, encouraged by mentions in the hut log book of recent sightings. At around 10pm we were wondering whether to return to the hut, when suddenly there was much crashing around in the bushes by the path, and then in the almost dark two pale brownish bodies dashed out of the bushes and straight back in. We had both seen them – South Island Brown Kiwi! Suddenly the male started screaming – rather like an eagle, while the female grunted loudly. More thrashing about! Then silence! The American couple arrived, having heard the noise from the hut. We all stayed out for another half hour or so, but though we heard more Kiwi, some quite close to the path, that was the last we saw. It was a ghostly experience unlike anything we had experienced before. On our way back we heard Morepork calling. Day 3 was gentler than day 2, again mainly wooded, but with some coastal glimpses, and more evidence of the industrial past. We were happy to arrive back at the Lodge in good time in the afternoon, and much enjoyed a hot bath and a change of clothes. All in all, we were very pleased with our 3-day trek, but it was good to get back to civilisation, a little shopping and a hot meal in the restaurant.